Budget cuts, changing mission goals, and sequestration have all resulted in training shortages and shortfalls within the Department of Defense (DoD), yet effective warfighter training has never been more critical and the technology necessary for successful training more complex. Driving much of the innovation in military simulation and training is technology from the commercial gaming community, bringing much familiarity to the young warfighter, but unique challenges to system designers. 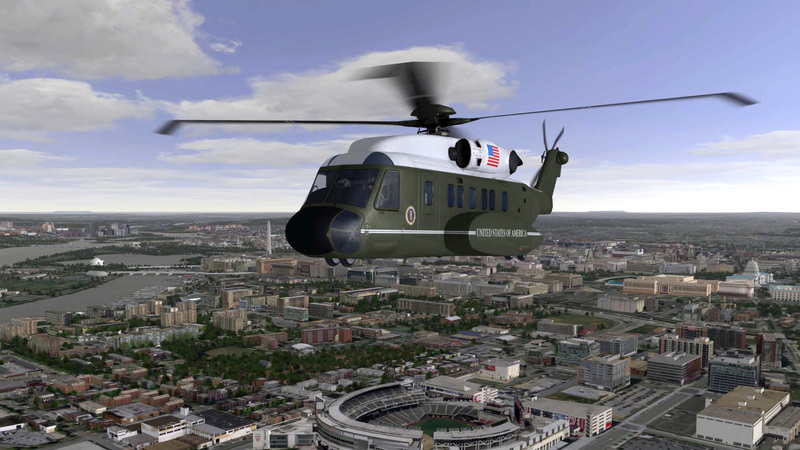 The U.S. military leadership still pushes the mantra “train like you fight,” but the technology necessary to meet that goal is getting more sophisticated and more dependent on their relationship with the commercial gaming world and concepts such as virtual reality (VR), augmented reality (AR), and mixed reality. This has become especially beneficial as many young recruits are digital natives and find this simulation technology intuitive. Technologies like AR, VR, and mixed reality in military training today are not uncommon as “training and education theories evolve over the years,” says Tony Prause, Portfolio Manager for the Products Life Cycle Support portfolio at Engility Corp.’s Chantilly, Virginia location. More realistic simulation technology also enables more remote training and less use of expensive live platforms, thereby saving the DoD millions of dollars. “The military faces many challenges as it relates to training,” states Andre Balta, chief technology officer of Cubic Global Defense in Orlando, Florida. They continue to focus on increasing throughput while increasing the quality of training – whether through point of need training (distributed training) or accelerating learning through learning science, he adds. Much of their current training leverages similar technology to the games they played in high school, improving skills, ranging from complex decision-making to simple daily maintenance tasks. Even as many parties agree on the usefulness of VR and AR in military training, there are not yet requirements in place to facilitate companies’ proposing and fulfillment of such programs. “It’s a challenge to identify what the training requirements are today, but even harder to do so in five years because you don’t know what will change,” Prause notes. Despite the lack of requirements, commercial gaming technology has a foothold in military training. The recruit’s go-to forms of entertainment are often video games, as they grew up with games like Call of Duty. “Today’s sailors expect that same immersive training environment that not only includes the technical aspect – such as the systems the military uses – but also the scenario storyline,” explains Eric Phipps, program manager, U.S. Navy training programs at Engility Corp.’s San Diego facility. The military-simulation industry is small compared to that, and “what we’ve seen over the last couple of years is that the technology in the entertainment domain has really outpaced the technology, especially in terms of graphics and physics, in the military-simulation world,” he adds. VR and AR are all part of the game with mixed reality sitting on the cutting edge. Morrison adds. “Mixed reality is where you have a headset with video cameras, which captures the real world, but we inject virtual elements. The idea that the user’s mind must create a fake reality, yet can feel, see, and touch the tools and systems make this type of training more effective – and it’s simply mind-blowing. 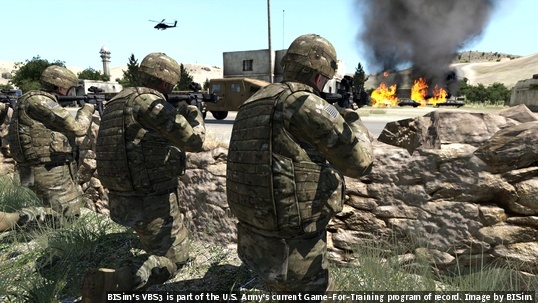 Live, virtual, constructive (LVC) training – which integrates live and virtual constructs – also enables the military to bring together different domains from air to sea to land. Eventually, the end result will align with the Navy’s vision, which is “to eventually take the synthetic environment and blend it with a LVC environment that will be seamless between real and constructive forces,” Phipps says. While adoption of a gaming-style type of training for today’s digital natives sounds natural for the military concerns over effectiveness remain. “Now that you’ve given the training, how do you determine how successfully that individual is now trained, or that collections of individuals are now trained, in the task that they were supposed to obtain from the course or from the simulations?” Gibbs says. Gaming technology is attempting to close the gap in the training deficiencies that the military is currently experiencing. For example, the U.S. Navy’s Littoral Combat Ship (LCS) engineering casualties in late 2015 through 2016 forced military leadership to emphasize training. By using gaming technology “students are immersed in a high-fidelity 3-D replica of the actual ship within a virtual environment that contains all the spaces, compartments, systems, equipment, technical documents, instructions and tools necessary to qualify a student for their prospective watch station,” Balta says. (See Figure 1 video/image). Figure 1: Cubic’s Immersive Virtual Shipboard Environment (IVSE) developed for the U.S. Navy’s Littoral Combat Ship. Video/image courtesy of Cubic Global Defense. Click here to view video. The use cases are not hard to find. “Since 2004, Games for Training has been a program of record within the U.S. Army, so that’s essentially validation that there is forward recognition that gaming technology works, and that’s an investment by the U.S. Army in gaming technology. probably to the tune of maybe $50 to $100 million dollars a year, so there’s anecdotal evidence that given the level of investment, the U.S. military believes that it works,” Morrison points out. Figure 2:Imaging generated with Rockwell Collins EP 8100 used for the Apache helicopter visual system. Photo courtesy of Rockwell Collins.